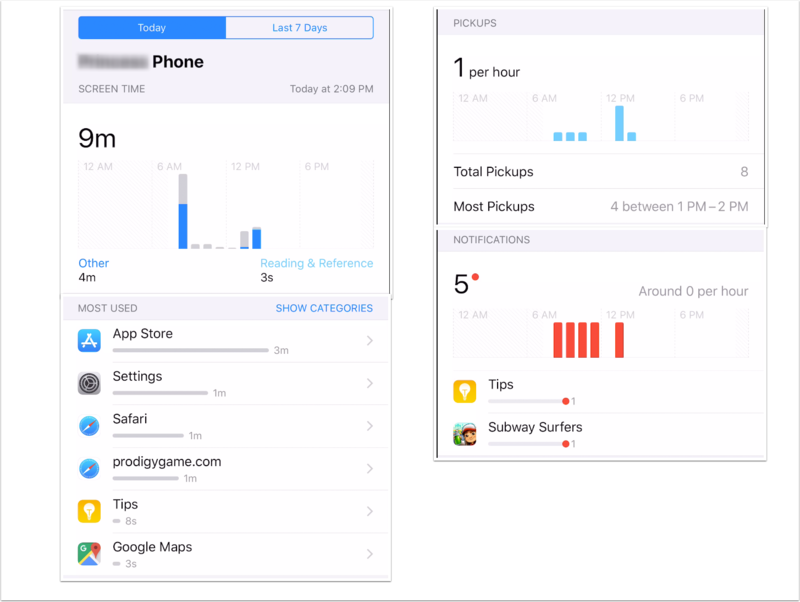 With the latest iOS 12 update, Apple has provided a suite of tools to help you manage your child’s iOS device, tailor content restrictions, and set limits on time spent in Apps. With Screen Time set up via Family Sharing, you can see reports about what Apps are used when, and website activity. You can even tailor what Apps are allowed to send Notifications to your child, and see when they “pickup” their iOS device.